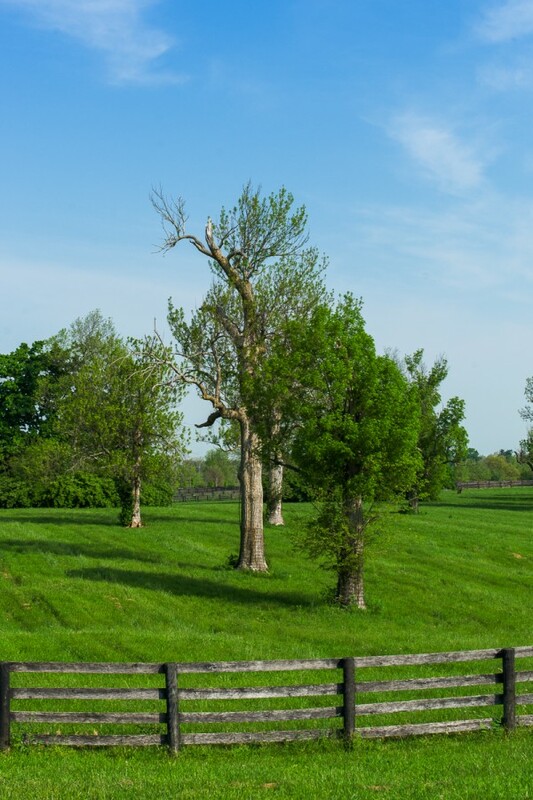 There are many tree species in the Bluegrass and Nashville Basin, but only a few of them are very long lived. The group of trees that we call the Venerable Trees include five species that make them especially important to our conservation efforts: 1) they are exceptionally long-lived trees; 2) they are found as open-grown trees in woodland pastures; 3) they are deep-rooted and drought tolerant. The Venerable Trees are blue ash, bur oak, chinkapin oak, Shumard oak and kingnut. Click the links to the left to learn more about these species. Every woodland pasture is different. Some are dominated by a single species, often blue ash. Other common species include black walnut, black locust, honeylocust, hackberry, black cherry, sugar maple, black maple, American basswood, Ohio buckeye, eastern redbud, American sycamore, and Osage-orange. White ash is currently abundant, but the emerald ash borer is rapidly eliminating this tree. Blue ash is resistant to emerald ash borer. Read more about these species. A complete list of Bluegrass trees is available.